For large groups and private dining inquiries, please contact our Gerente de Fiestas, Candy Urreola at curreola@eatpuesto.com. 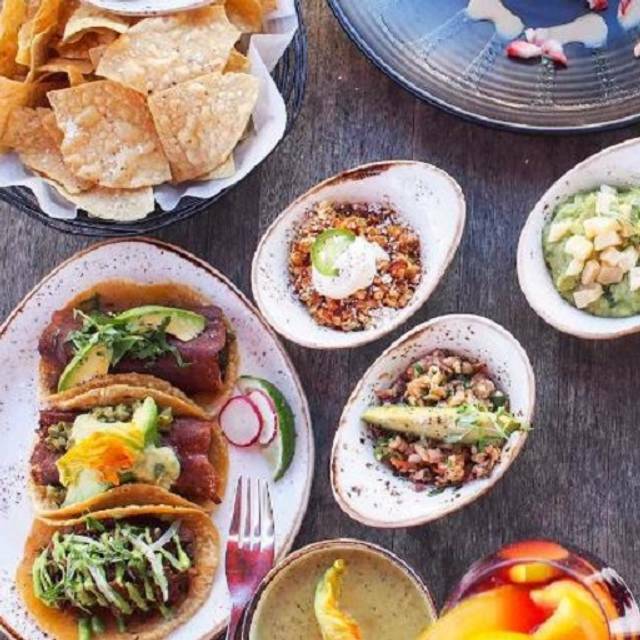 Born in Mexico City and rooted in Southern California, Puesto is an award-winning Mexican Artisan Kitchen providing a fresh and contemporary take on authentic Mexican cuisine in an unique and upscale environment. With handmade maiz azul stone-ground tortillas made daily in house, sustainable meats and seafood, slow-cooked guisados, and scratch salsas, Puesto’s menu is a celebration of fundamental Mexican flavors and an homage to the cosmopolitan palate of Mexico City, courtesy of Executive Chef/Partner Luisteen Gonzalez and Executive Creative Chef Katy Smith. Puesto delivers a refreshing craft bar program, grounded in carefully curated agave spirits. We’re known for our Puesto Perfect Margaritas, in addition to palomas, micheladas and seasonal aguas frescas. 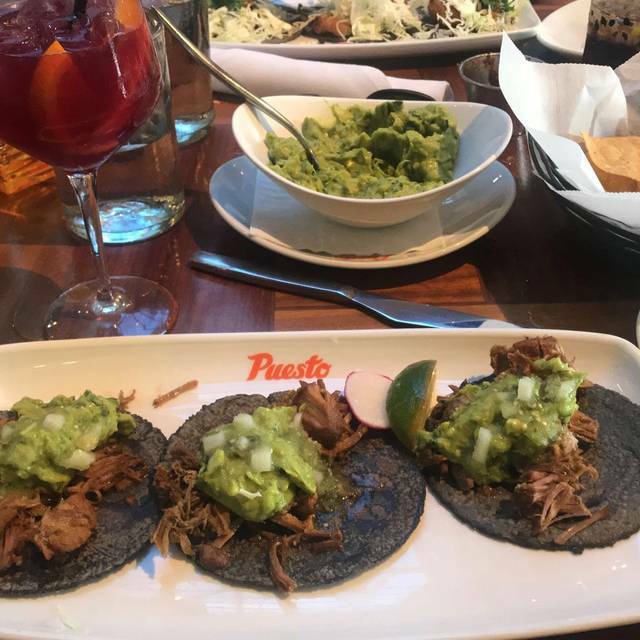 Puesto has been featured by media outlets nationally and internationally, some of which include Huffington Post, Refinery 29, MSN, Insider, Zagat, Eater, Food and Wine, and LA Times. Additional charge applicable. 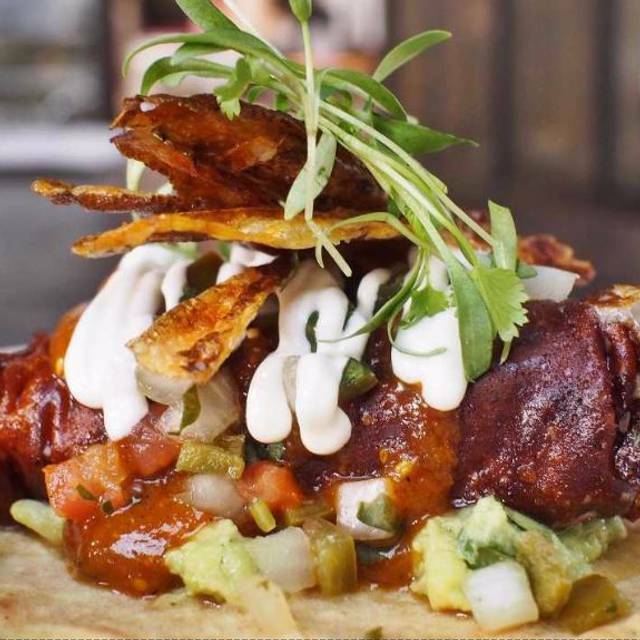 Crispy shrimp, tamarindo-Chile sauce, classic guacamole, cilantro. Winner - tacolandia "best taco". Allergy/diet info: gf. Keaton was amazing. One of the best servers I’ve ever had. Good food and great service made for a wonderful friends’ get together! Bob the MOD was amazing! Thank u 4 making our night! We took our new neighbors here for their first visit. As usual, everything was terrific. We were glad to see the Potato Taquitos back on the dinner menu. In addition, we tried the Esquite (grilled corn), which was excellent. Presto was delicious and the service was great! 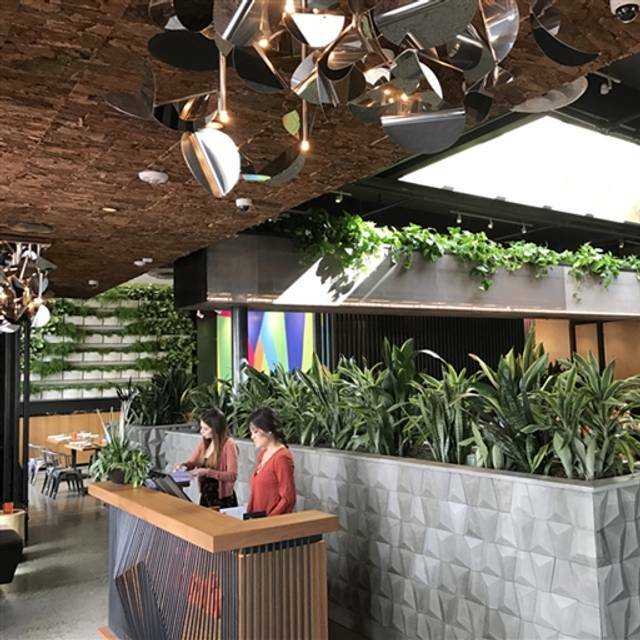 It’s such a cute place with some awesome and unique drink and food options! We will definitely be back soon! Best tacos in Orange County, no contest. Close to Irvine Spectrum Center. Not far off freeway. This restaurant is always on point! I love the food, love the atmosphere, and service is always top notch! Thanks, Garrett for looking after us tonight! Great! My friends and I love it here and we always have a wonderful time. Amazing as always... Get the “offmenu” Hero Taco... you won’t regret it... a weekly treat...! Not what I expected at all. There were people at the bar with an extremely inappropriate behavior. Food was not impressive at all. Focus is obviously on young people. High noise level. Very spicy food. Two bars. It’ll be interesting to see what happens when it’s no longer the new place. Love this place! Order off the secret menu, Hero Taco and Cali Taco are awesome! The tacos were not that good. The guacamole and corn was really delicious. The service was good. The food was good but too spicy for us. We ordered a Maine lobster taco and a shrimp taco, paid extra for them. The lobster taco was kind of tasteless with 2 tiny pieces of lobster meat and a few dry small pieces of claws. But we love the shrimp taco. We would recommend the restaurant to our friends who can eat spicy food. We had reservations and were seated immediately and greeted by our waiter. 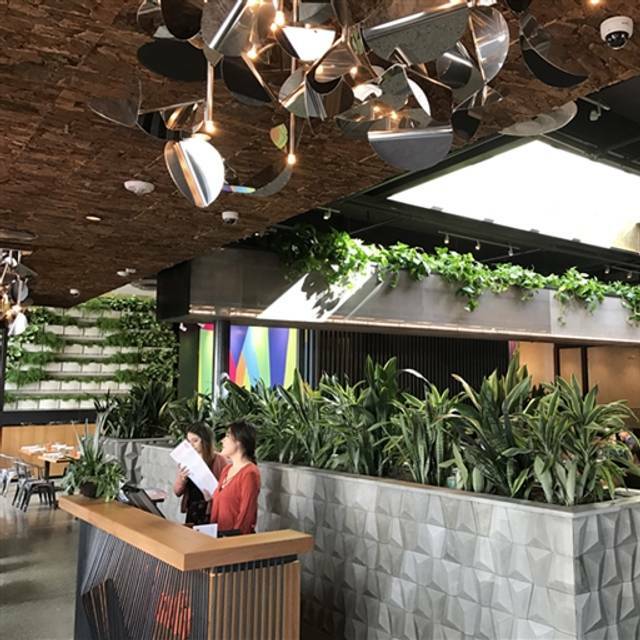 The restaurant lighting is bright, and the dining area is casual. Presto has a full bar, the margaritas were authentic and delicious. 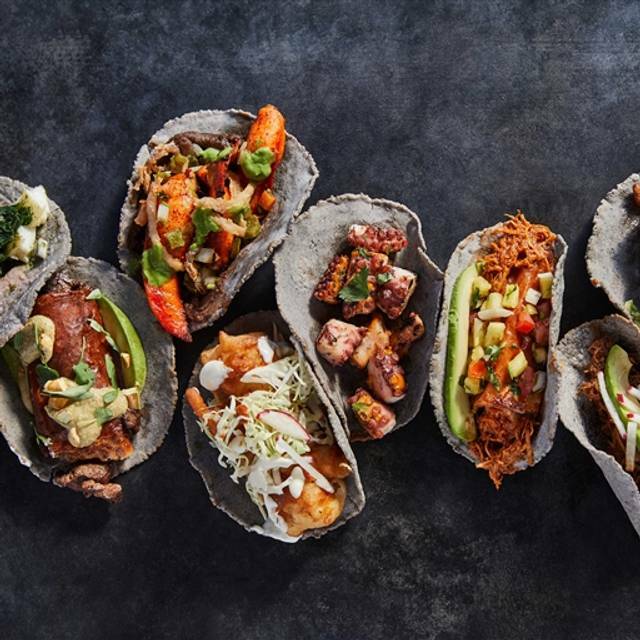 Great assortment of tacos, highly recommend the shrimp and beef filet tacos. Sides were very tasty as well. Will return soon to taste other menu items. Horrible food - will never go back. Most of it was inedible. 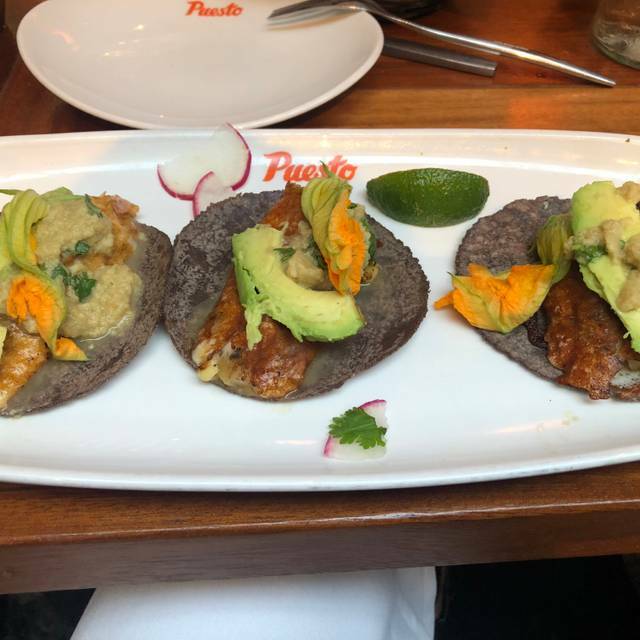 If we want "street tacos", we'll go to Mexico and eat off the street - that's what this tasted like. Food was full of grease. Yikes, got sick just looking at it. We all asked, "Who is this appealing to?" Someone has to be really desperate to go here. Frozen entree for dinner would be better. Our advice: Stay away! Excellent service! Food is consistently good. It was very crowded on Taco Tues even with a reservation. The tacos are wonderful and so fresh and we will return. Great chips and salsa also. 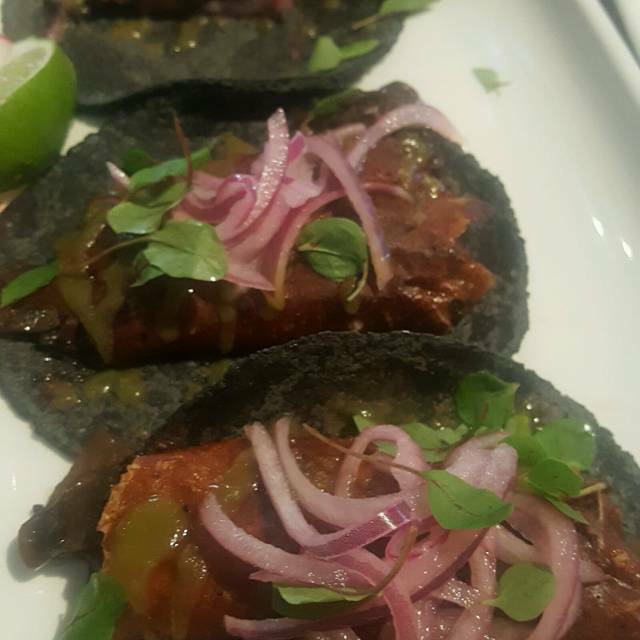 Not your typical tacos!! Also, they have several brands of tequila. excellent service to match the food. The food was simply awful! Drinks are pricey but the value is there. Appetizers are very pricey. $14 for guacamole? We ordered the Steak Asada for two and everything was great tasting. It is a nice presentation but at $45 there should have been more ribeye. ( side note - best to order rare as it continues to cook in the metate) but the flavor was great. We frequent this restaurant and the food is always consistently good and the service was great! Good spot for quality Mexican food. Their street tacos are good and you can mix and match varieties! Their guacamole is great (my judge of a good Mexican establishment.) They are dog friendly on their patio, nice ambiance! Every food we picked from the menu was great and so yummy. The employees are also very nice. Lots of parking. Bathrooms are very clean. Quick and friendly service starting with the hostess. Our waiter was friendly and knowledgeable of menu and drinks. Checked on us regularly. The food is superb, tasty, delicious using the freshest ingredients. 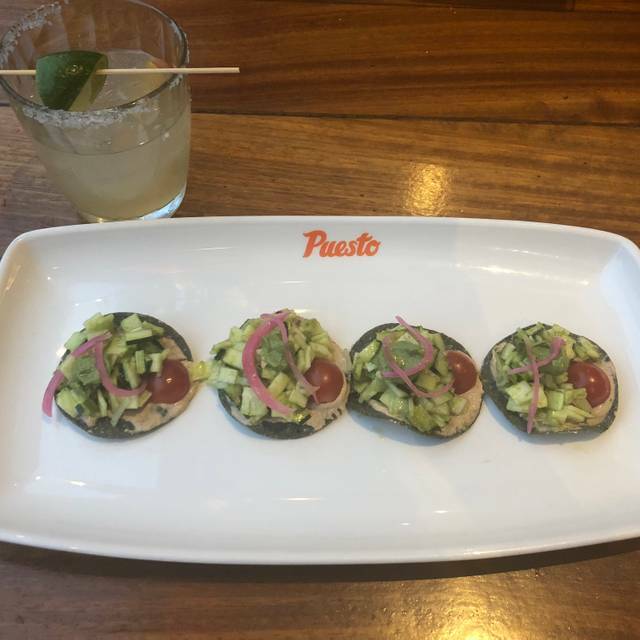 I love Puesto, but was very disappointed after bringing a high end client there for Happy Hour. Service was extremely slow and it was only 4:00 / 4:30 so it wasn't busy yet. Food is always good, I love the filet mignon tacos! Very good tacos. You get value for money. Love the margaritas. Took my team for a work lunch. I've come here a few times and food is always good. Tacos are always delicious, even good with lettuce instead of tortillas. Guacamole is also amazing. Additionally, service is outstanding. Servers are always very attentive and wait time for food is quick.